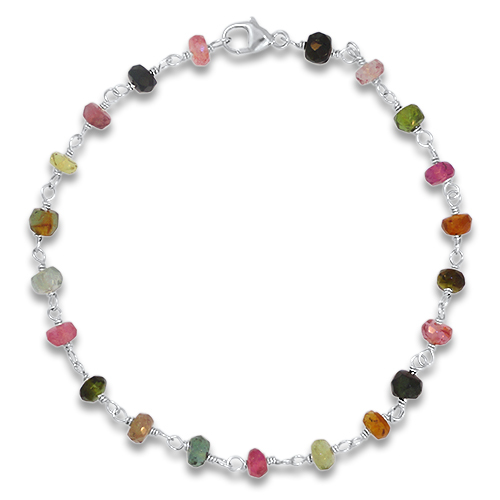 Hand wired Tourmaline rondel and sterling silver bracelet. 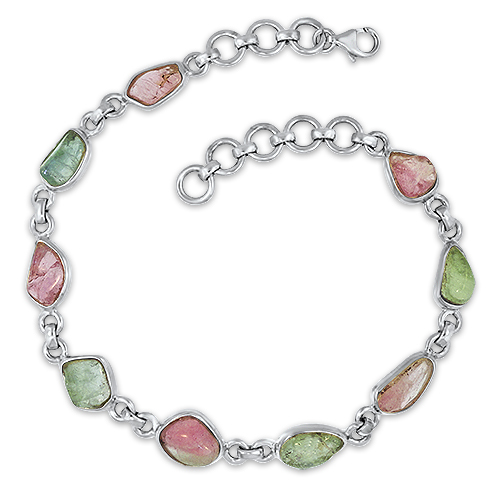 Hand wired Tourmaline rondel sterling silver bracelet. 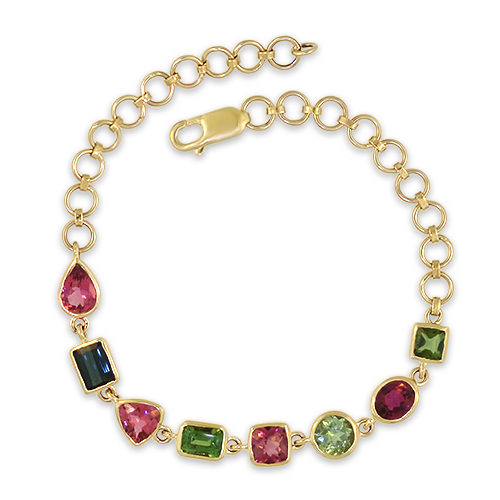 The Bracelet features multi color faceted tourmaline beads with a silver lobster clasp and measures 7.5 inches. 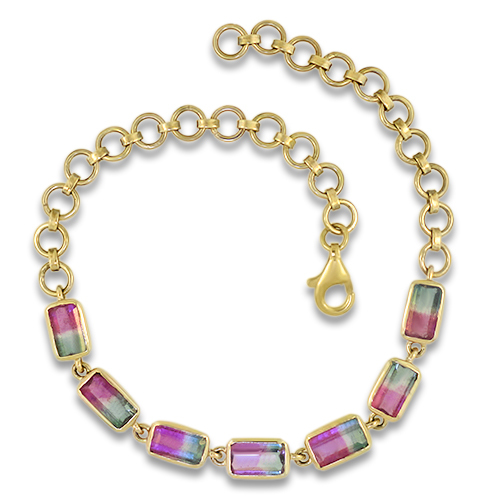 Matches CBP06 and matching earrings are available upon request.